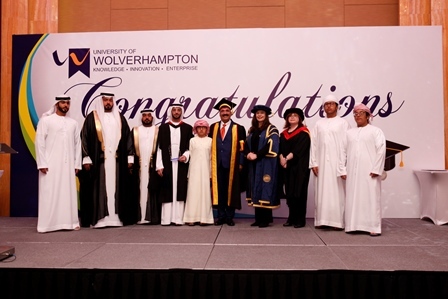 More than 100 students graduated from the University of Wolverhampton and their transnational education (TNE) partner Cornerstone College of International Studies in United Arab Emirates. 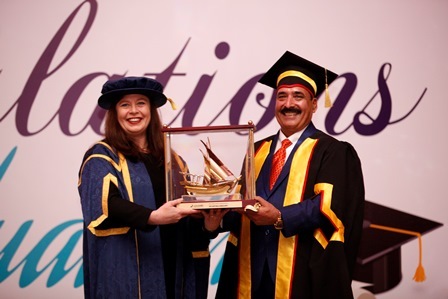 The ceremony was attended by Deputy Vice Chancellor Dr Anthea Gregory and Head of Transnational Education Dr Debbie Gilliland. The University of Wolverhampton has been in partnership with Cornerstone College of International Studies since 2013.